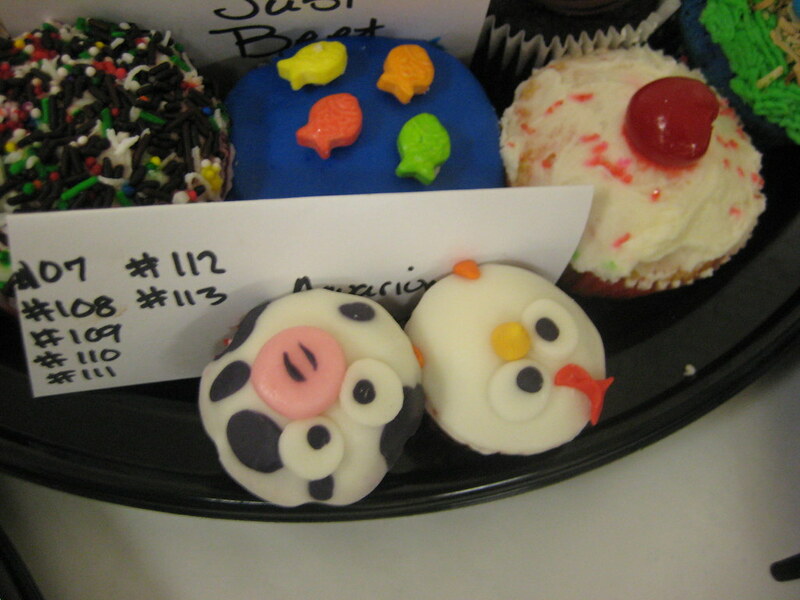 title by Jenn Farr: "I stood in line while my cupcakes sat"
And she has the winners! Didn’t get to chaotic which was good thing. Still amazes me that 3000 cupcakes were entered. After the fifth batch I was terribly full. At least I bought some tupperware to save the nice ones for home. Or if I can’t eat any. It was hard to pick which was my favorite because I like anything that is chocolate. 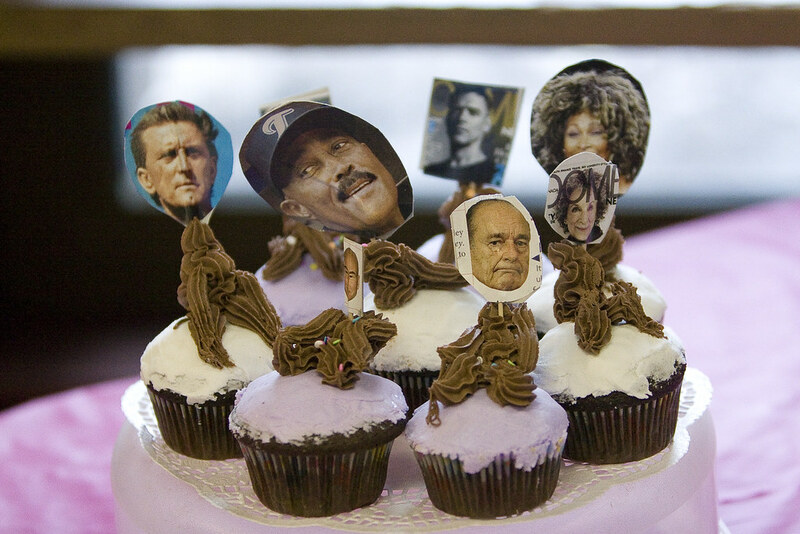 A Baked Creation has a great roundup of articles about CupcakeCamp, so I won't link to all of them, but for those who just can't get enough, check them out. 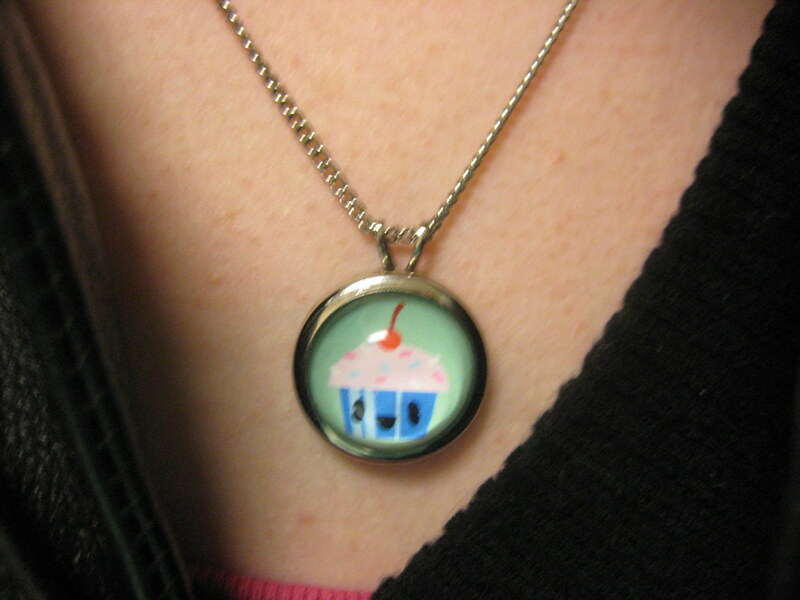 Cupcake Camp isn't for the faint of heart. Standing elbow-to-elbow, attendees jostled for position at the presentation table in the hopes of nabbing one of 1,000 cupcakes made by 40 amateur bakers. 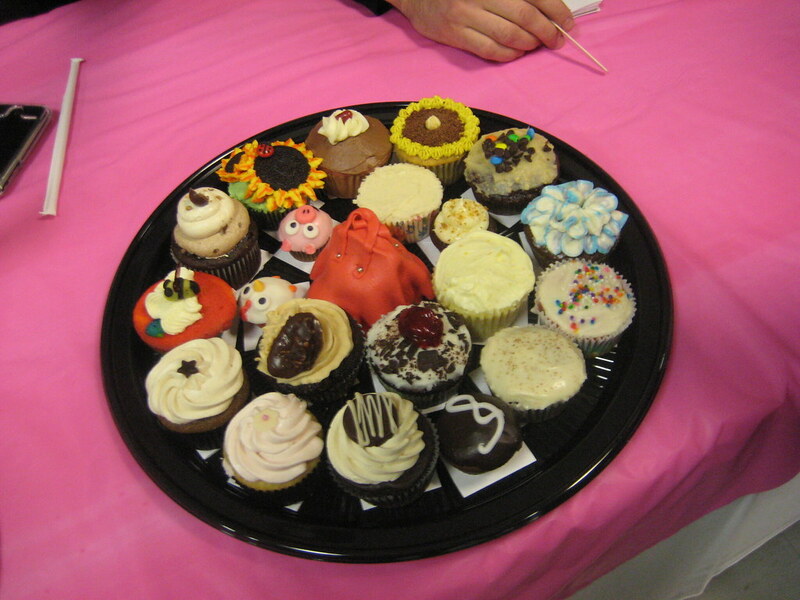 The event, held Sunday in an art studio in Toronto's trendy Leslieville, attracted close to 400 cupcake connoisseurs who were there to share their passion for making and eating the icing-topped mini-treats. "I don't work in a bakery. 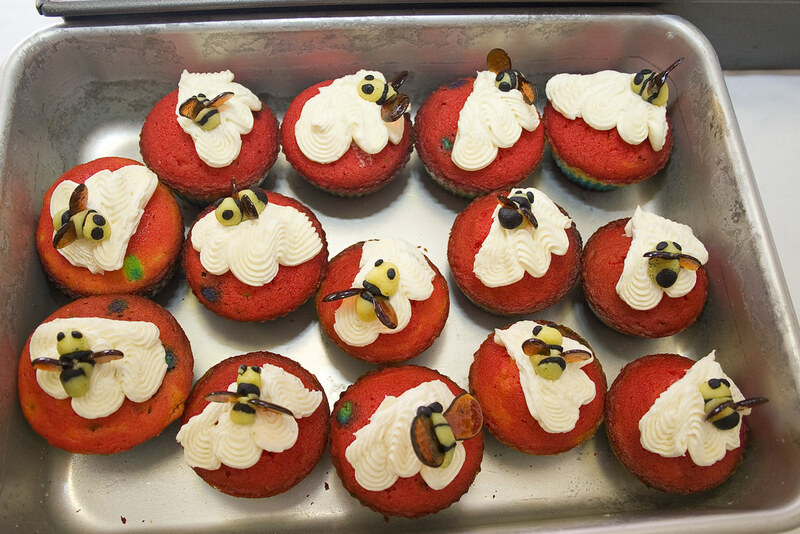 It's just something I do as a hobby," Amber Morden cheerfully shouted at the crowd as she presented a tray of red velvet cupcakes with vanilla buttercream frosting. They were devoured in seconds by the hungry mob. Move over, knitters. Step aside, scrapbookers. 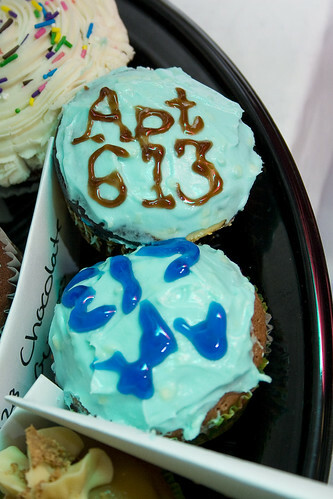 The latest hobby fad is the cupcake. To meet increasing demand, craft and kitchen stores are stocking shelves with special cupcake tools, how-to books, stands and liners in a multitude of designs and colours. 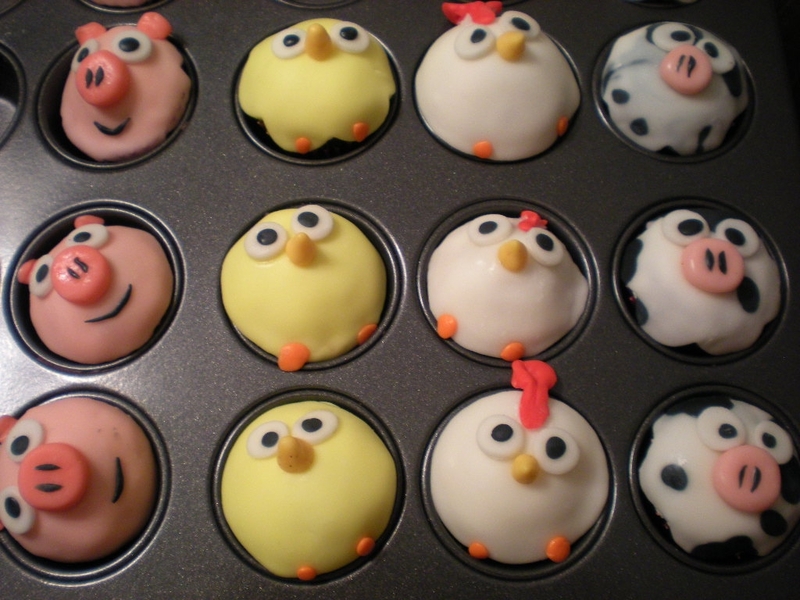 Cupcake lovers, meanwhile, are finding new ways to share their passion and showcase their weekend projects. 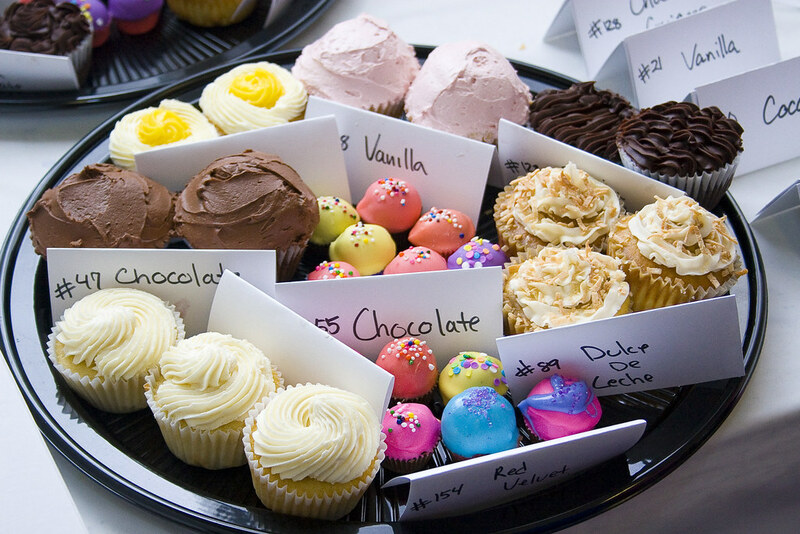 There are blogs, Facebook groups, Twitter pages and flikr accounts dedicated solely to making, sharing and indulging in the mini-cakes, called cuppies by devotees. And here's a video that captures some of the mania. I can attest that the screaming and grabbing was also something I witnessed in San Francisco. Spotlight - Cupcake Camp Toronto '09 from Suresh on Vimeo. You can also follow along on Twitter with @CapitalCupcake and with the hashtag #cupcakecamp for more writeups, photos, news, etc. 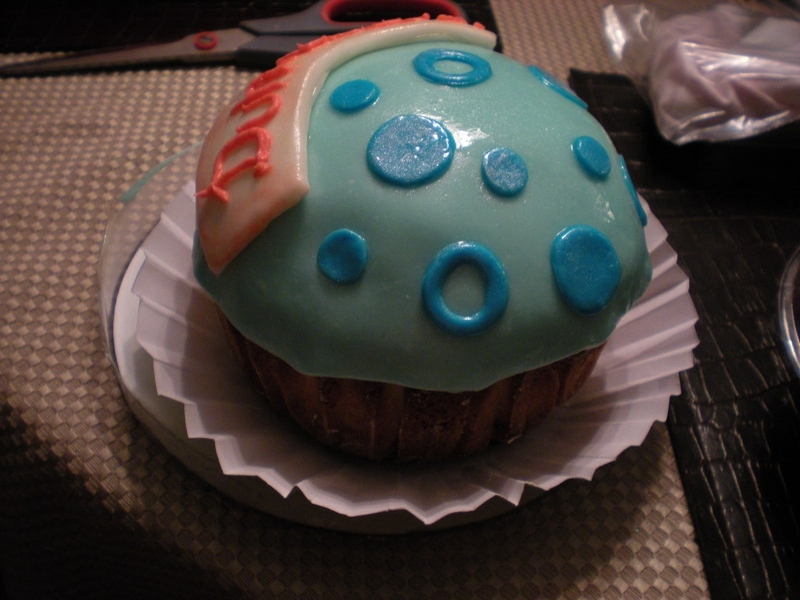 It looks like another successful, delicious, and incredibly creative CupcakeCamp! 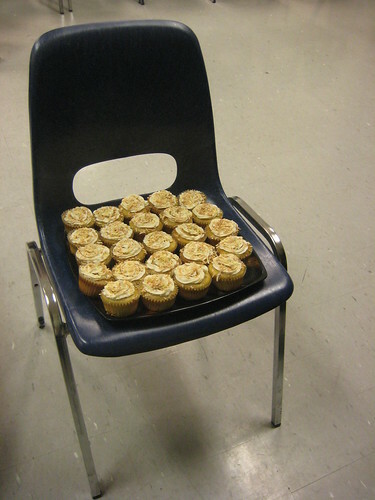 To find out how to host your own, visit CupcakeCamp.org. Hi! Thanks for the great blog post! 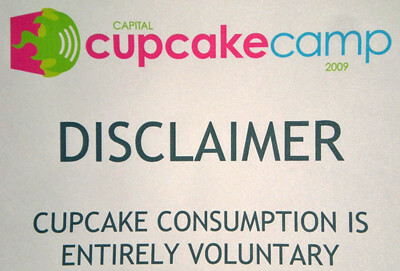 Just wanted to point out that the A Baked Creation, CTV Toronto and the video link are not Capital Cupcake Camp but Cupcake Camp Toronto articles. Hey, you've got info from the Toronto Cupcake Camp in your Ottawa post. There was no screaming or grabbing at the Ottawa event!